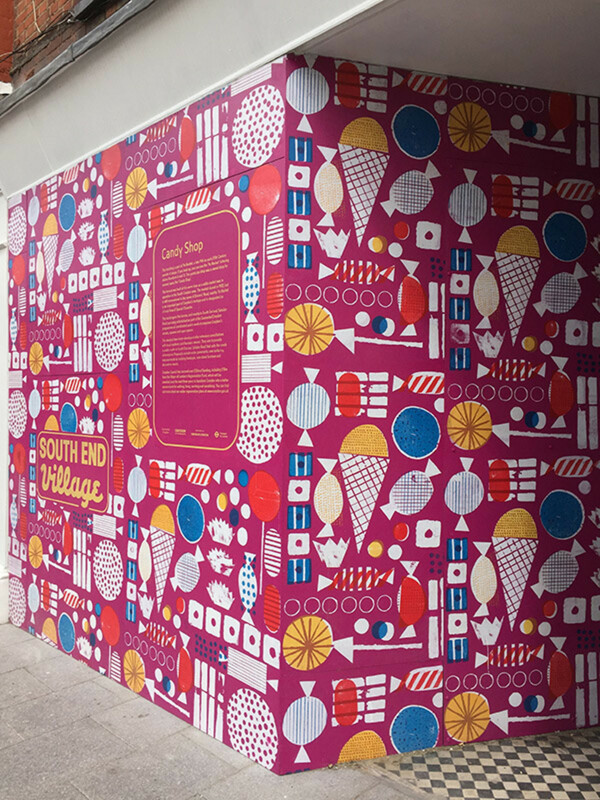 This project was commissioned by architecture and urbanism practice We Made That and graphic design company Objectif for the transformation of a section of streetscape in the London borough of Croydon. 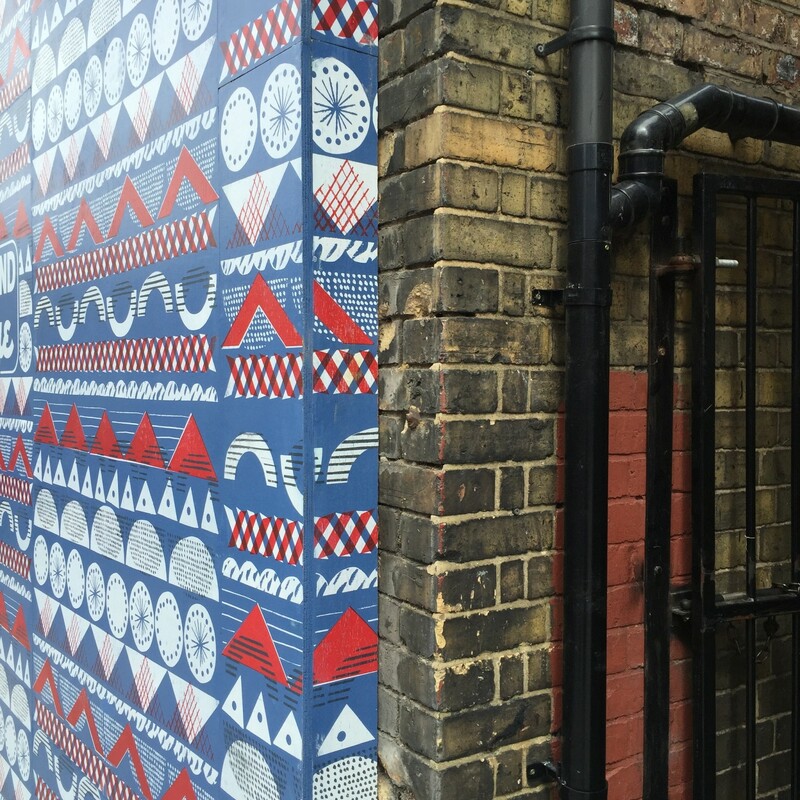 The work was created in response to the architecture of the building facades, specifically their wooden bargeboards, in addition to the existing businesses and previous occupants of vacant premises. 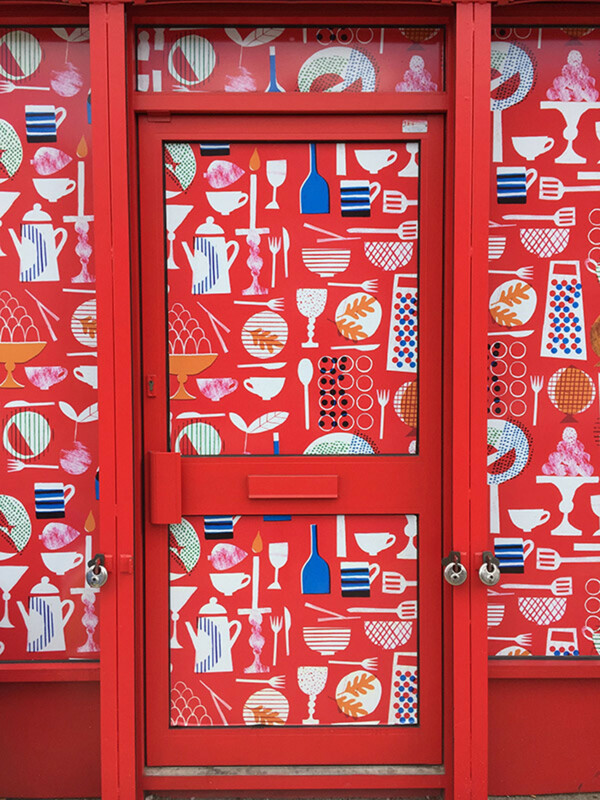 Wooden hoardings were hand screen printed to fill vacant shops along the high street. 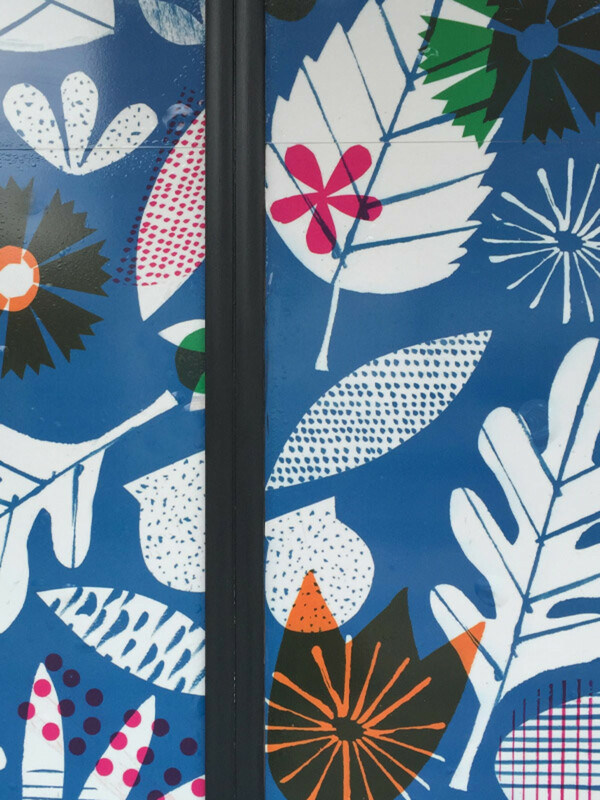 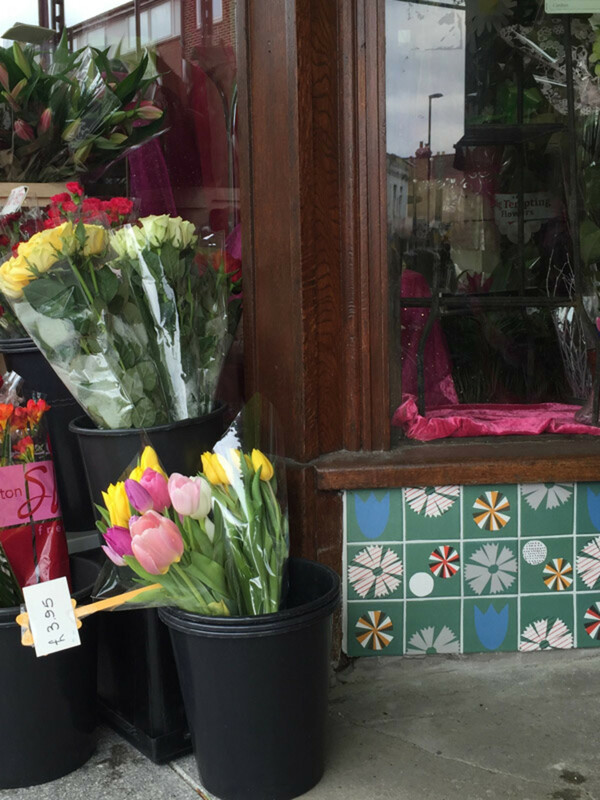 Large scale vinyl patterns were installed in shop windows and tiles were designed for shop fascias, to compliment the redesign of signage. 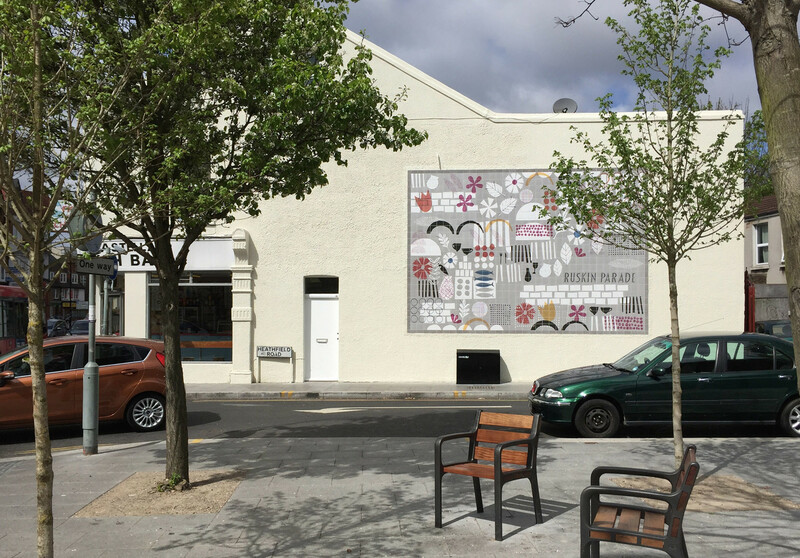 A large scale ceramic tiled mural was designed for a newly created public space at Ruskin Parade.